Oxford Road, HP17 8NR, Aylesbury, Buckinghamshire, UNITED KINGDOM. 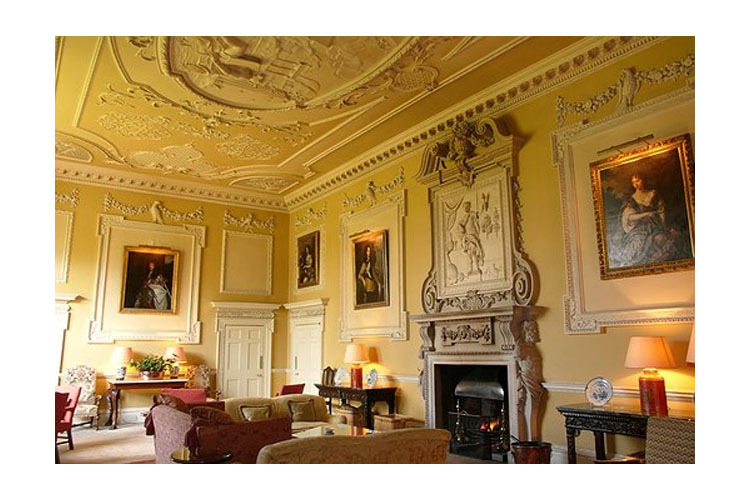 Located in the heart of the Buckinghamshire countryside, just outside the bustling town of Aylesbury, Hartwell House & Spa is set in a historic National Trust owned property, once the residence of Louis XVIII, the exiled King of France who held court there from 1809 to 1814. This fabulous property offers luxurious accommodation, fine cuisine and top-class facilities in a delightful rural setting. 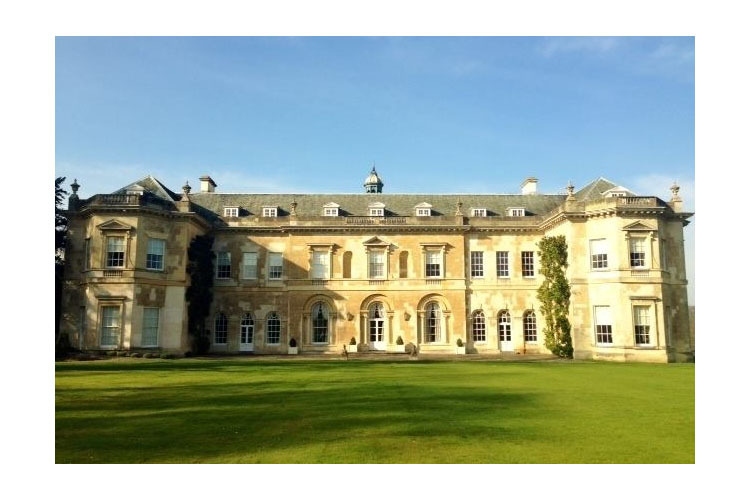 Surrounded by ninety acres of beautiful parkland and ornamental gardens, Hartwell House & Spa is ideal for both business and pleasure in the Vale of Aylesbury, one of the most beautiful areas of Buckinghamshire. 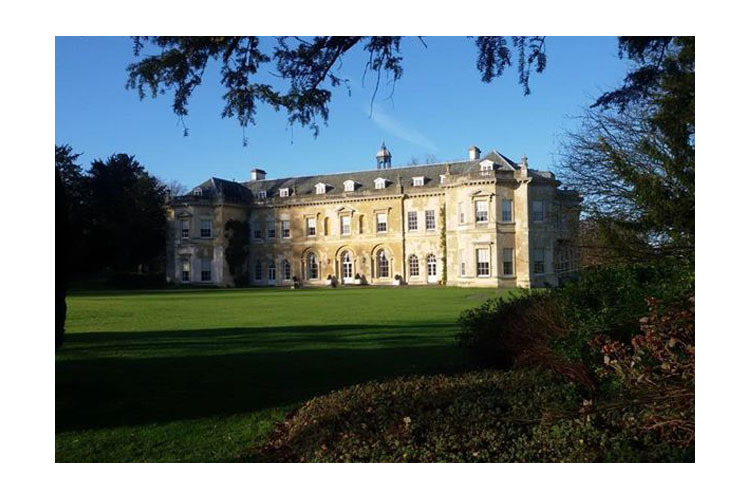 Within easy reach of London and Heathrow Airport, yet seemingly worlds away, Hartwell House & Spa is also close to several other grand properties owned by the National Trust, including Waddesdon Manor, Claydon House, and Stowe Landscape Gardens. 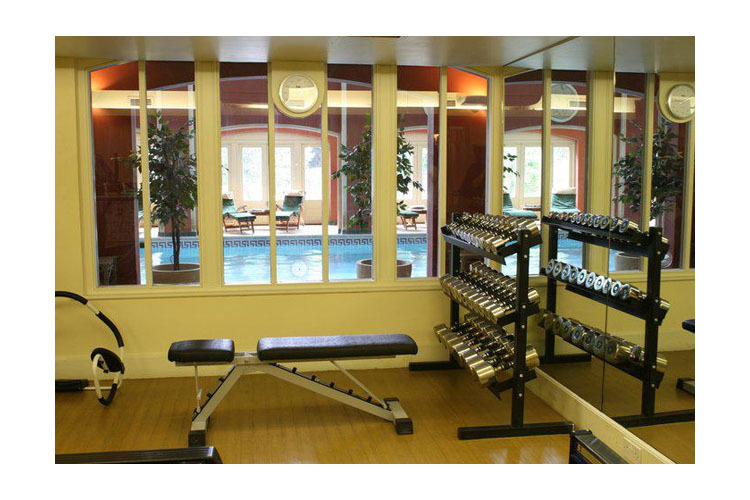 On site, guests can take advantage of the extensive spa facilities, with a heated indoor pool, steam room, sauna and hydro-massage bath, along with a range of massages and treatments. The restaurant at Hartwell House & Spa, the proud holder of two AA Rosettes, serves delicious à la carte and and daily set menus featuring seasonal local farm and country produce, together with garden fruit, vegetables and herbs from the house's kitchen garden and orchards. Cuisine is wholesome, flavoursome and imaginative, accompanied by an excellent wine list, with the accent on the great traditional French vineyards, along with a careful selection of new world wines. Located on the first floor of Hartwell Court, which is located 100 yards from the main house, these compact rooms are equipped with a double bed and offer every comfort for a short stay. 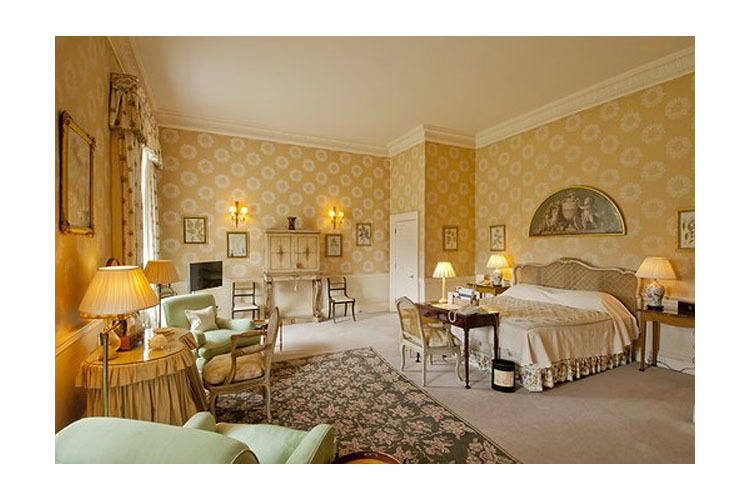 They also include a flat screen TV with DVD player and trouser press. 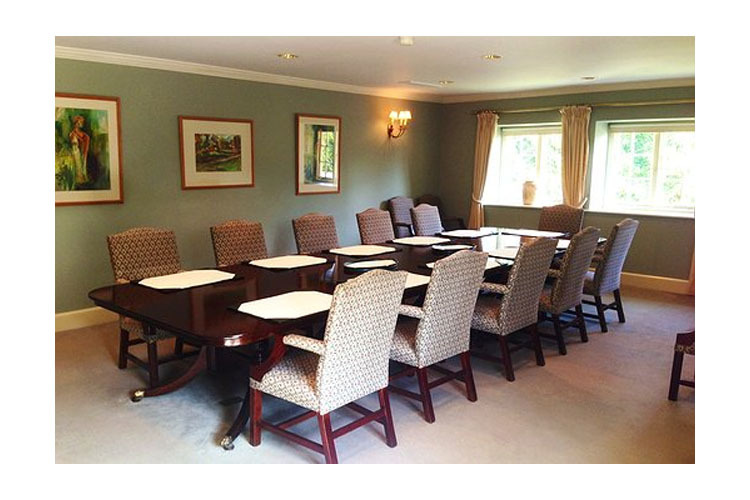 These rooms are Located on the first floor of Hartwell Court, and are decorated to the same high standards as those in the main house. 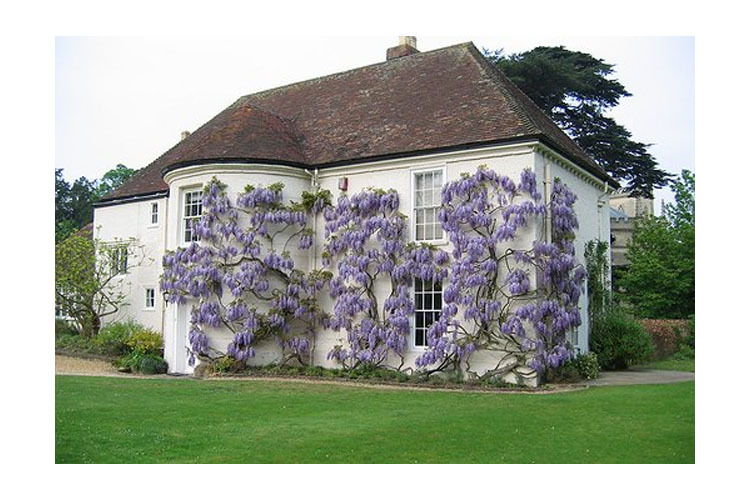 Located on the ground and first floors of Hartwell Court, some rooms have immediate access to the gardens, ideal for dogs and their owners. The Gallery Suites have the living room on the ground floor and the bedroom on a mezzanine galleried level, both having views out of the large windows. 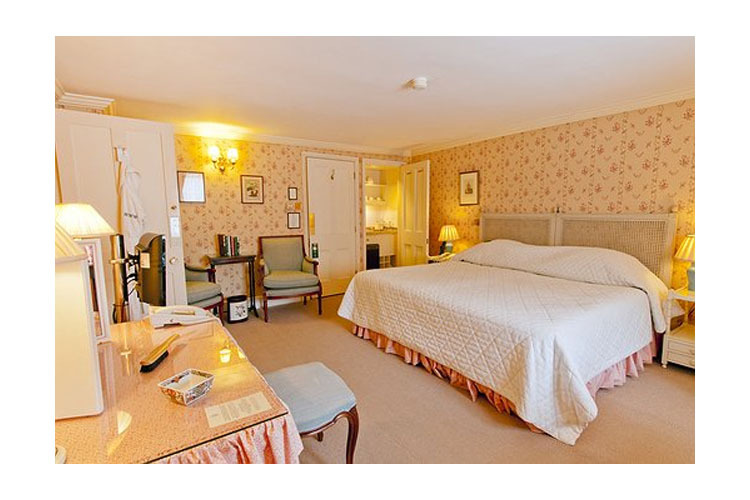 Located on the Mezzanine and second floors of the Main House, these compact rooms equipped with a single bed offer every comfort for a short stay, and include a flat screen TV with DVD player and trouser press. 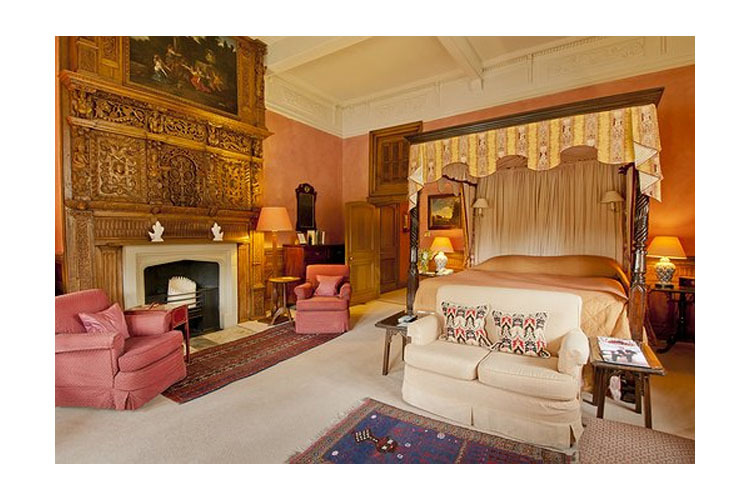 These fourteen luxuriously decorated double and twin bedded rooms are located on the mezzanine and second floor of this beautifully restored 17th Century stately home. 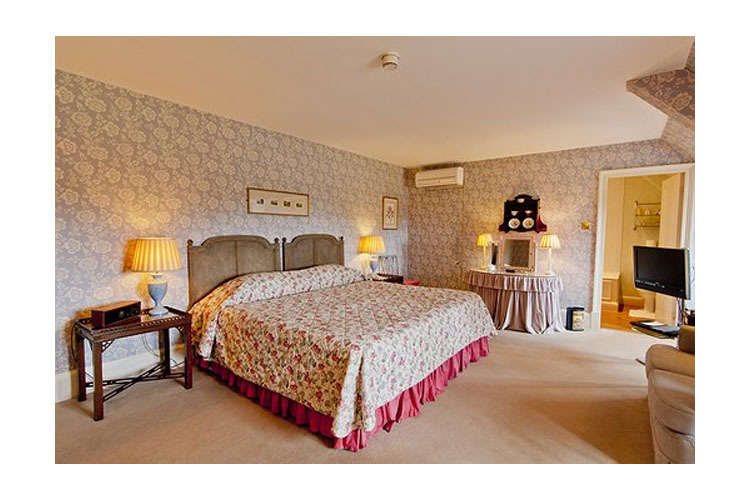 There are six Superior Royal double and twin bedded rooms on the first floor of the Main House, with a Four-Poster bedroom on the Mezzanine Floor. 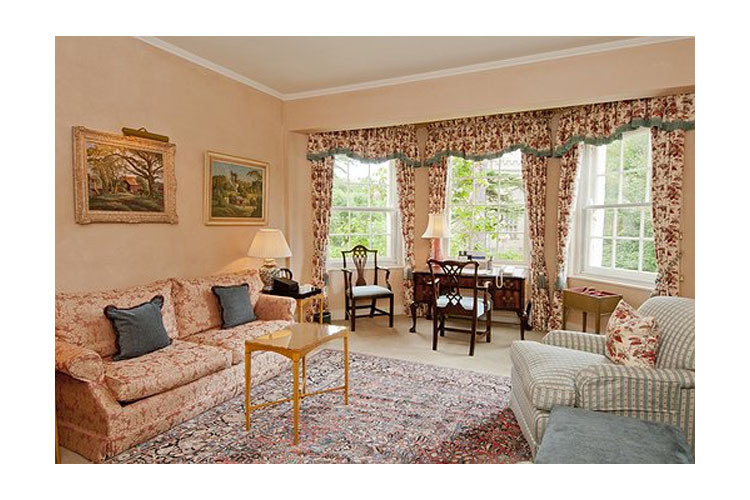 They are spacious and tastefully decorated in traditional country house style, overlooking the surrounding parklands. 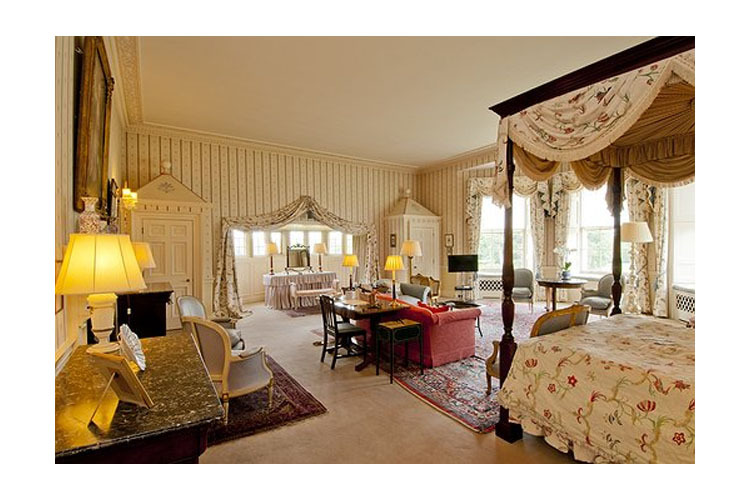 The four magnificent Four-Poster Bedrooms are the perfect setting to celebrate that special occasion. 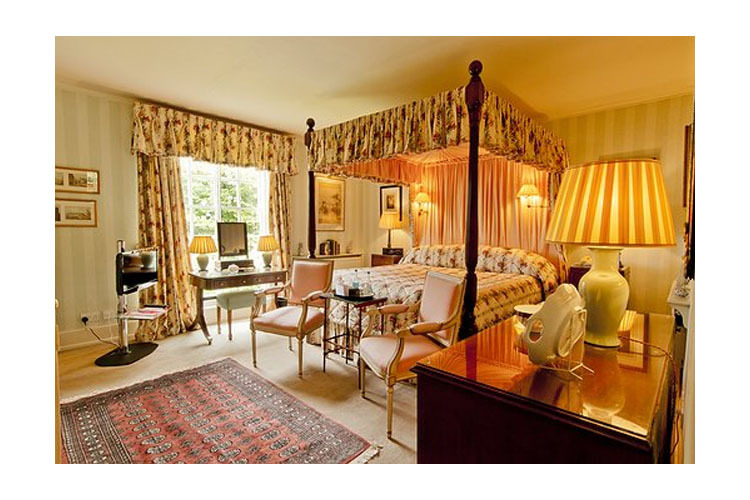 Once resided in by King Louis XVIII and his Queen, they are situated at each corner of the house and have king-size beds, are decorated with antiques, fine paintings and awe-inspiring views over the parklands and lake. 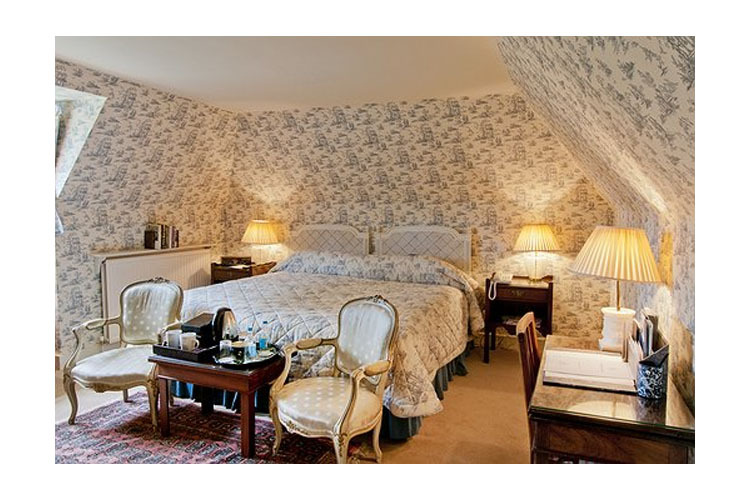 The Duc de Berry Suite: This is the second largest Suite in the Main House situated on the first floor. 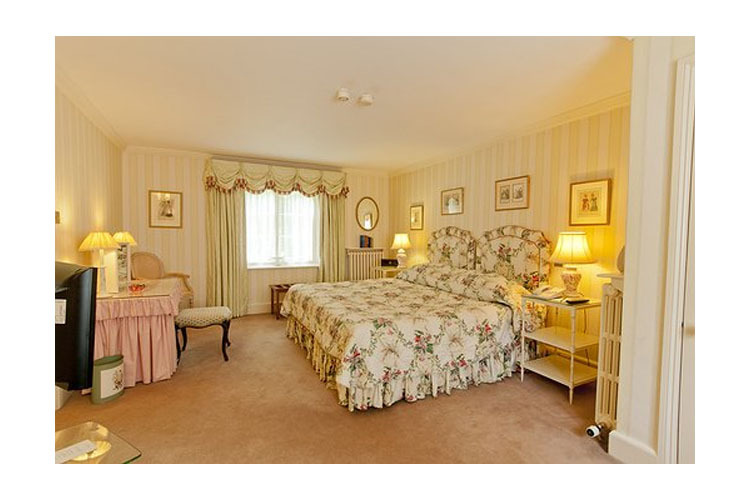 The separate living room and bedroom are south facing with views over the South Avenue and landscaped gardens. 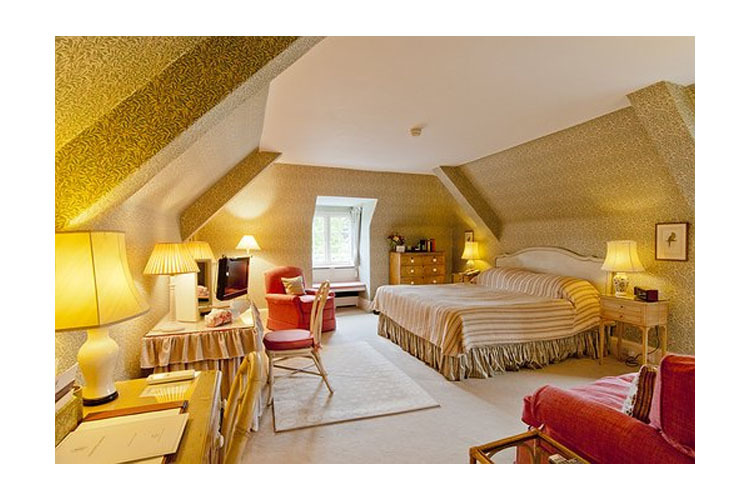 This suite incorporates a large en-suite bathroom and separate walk-in shower. 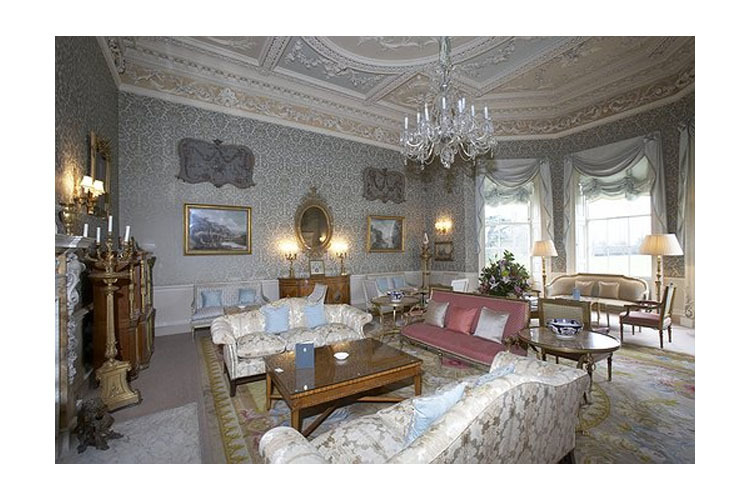 The Lee Suite is the largest and grandest Suite in Hartwell House. 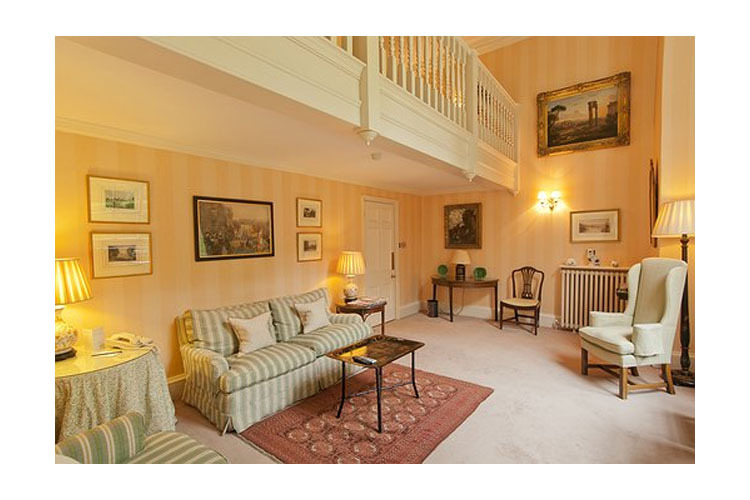 The suite is south facing with views down the South Avenue and landscaped gardens. 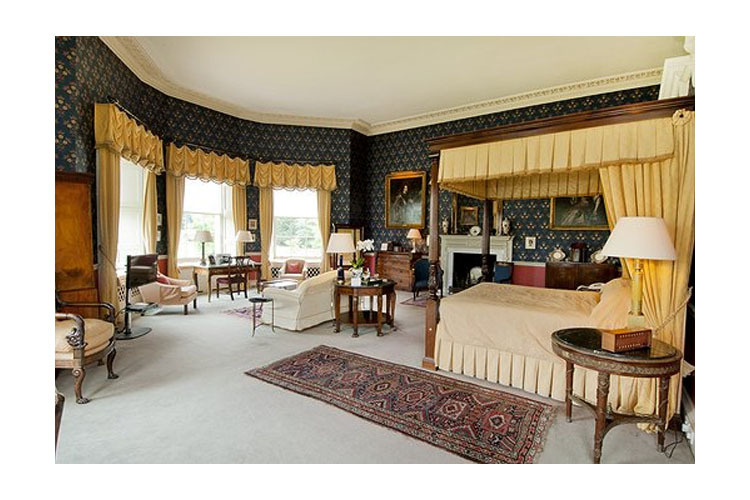 It features a separate drawing room, bedroom, en-suite bathroom and shower room. 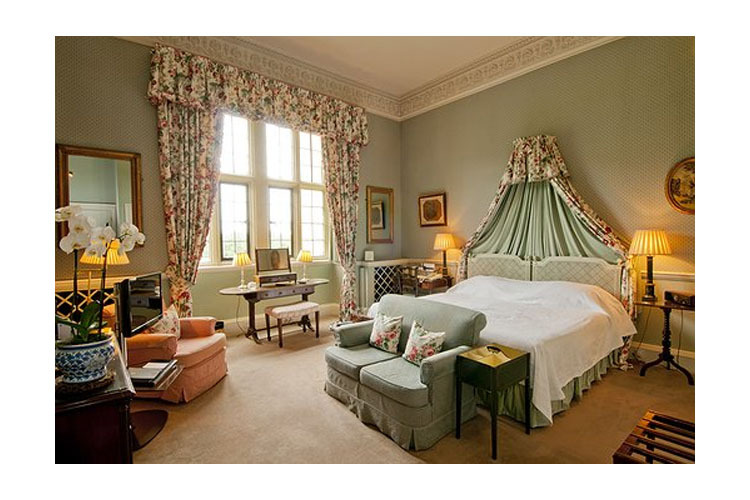 Both the drawing room and bedroom have window seats to sit and enjoy the views. All rooms and suites feature: flat screen satellite TV and DVD player; sofa or two comfortable arm chairs; dressing table with mirror, can be used as a desk; radio alarm clock; hospitality tray with mineral water and home-made biscuits; en-suite bathroom and shower (some hand-held showers); towelling bathrobes and complimentary slippers; trouser press. 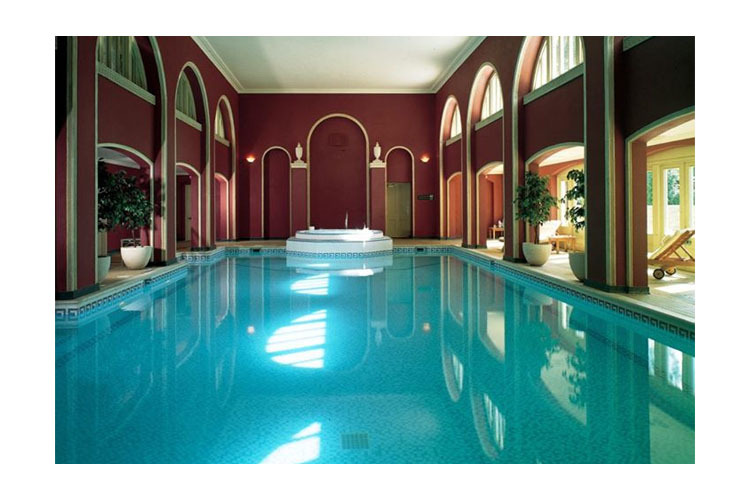 Children aged 6 and over are welcome at Hartwell House & Spa. Pets are only allowed in the bedrooms of Hartwell Court Suites. 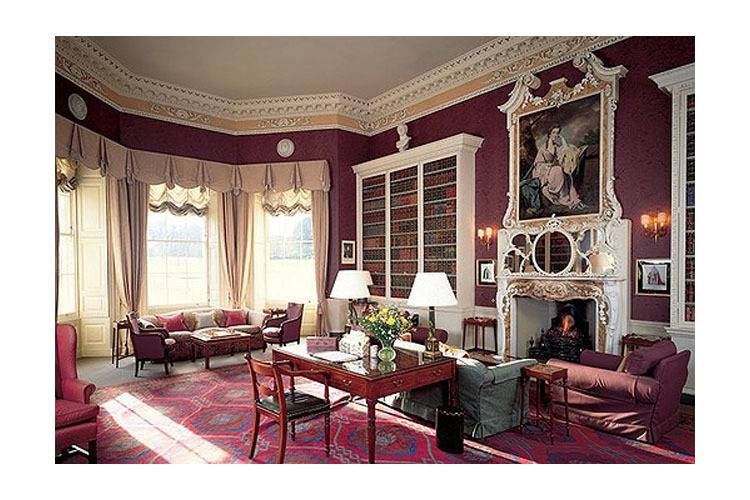 Year of establishment and/or latest refurbishment: 18th century. Languages spoken: English, French, German, Latvian, Polish, Portuguese, Romanian, Spanish. Credit cards accepted: American Express, Visa, Maestro, Solo, Switch. Restaurant closed: The main house restaurant is open for breakfast, from 07:30am. to 09:30am. from Monday to Friday. 08:00am. to 10:00am. Saturday/Sunday (including Bank Holidays). Lunch: from 12.30pm. to 01:45pm. every day. Afternoon Tea: from 03:30pm. to 05:00pm. from Monday to Saturday; 04:00pm. to 05:30pm. on Sundays. Dinner: 07:30pm. to 09:45pm. daily. Spa Cafe and Bar is open for breakfast, from 09:00am. to 11:45am. daily. Lunch: 12:15pm. to 03:00pm. from Monday to Friday; 12:15pm. to 04:00pm. on Saturdays and Sundays. Nearest airport: London Luton Airport - 43,1 km. Golf - 2,3 km: Aylesbury Park Golf Club. 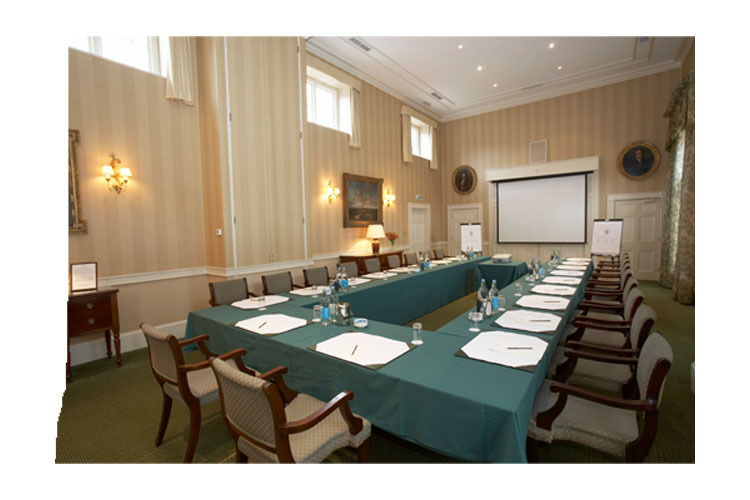 Meeting room up to 90 Pers.